My sister was visiting a few weeks ago and mentioned she would like a chalkboard like the one I was working on at the time. 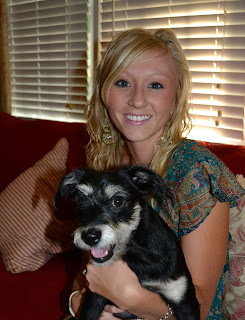 Here she is with her "baby" Bella. So I decided to make one for her birthday. Here's how I did it. 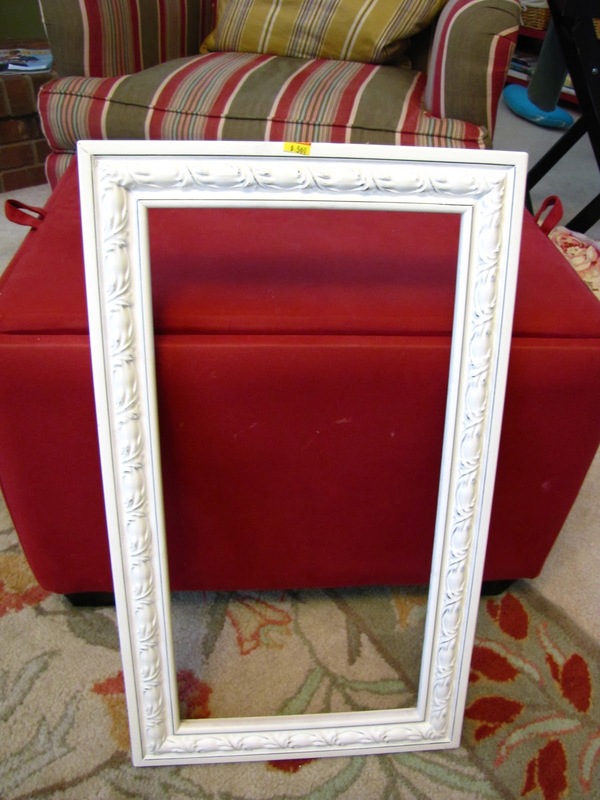 First, start with an empty frame. This one happens to be from Hobby Lobby, I just added a sawtooth picture hanger to the back since it didn't have any hardware. 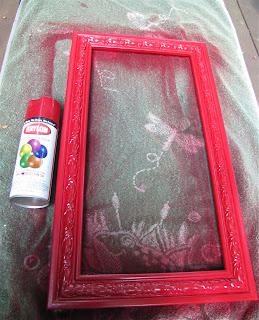 I spray painted it red using Krylon's Cherry Red Gloss. I actually really liked the white but Sara said she needed to add some color since she's renting and can't paint her condo right now. Then I spray painted the smooth side of the particle board using Krylon chalkboard spray paint. It took several thin layers of paint giving it a few minutes to dry in between coats. 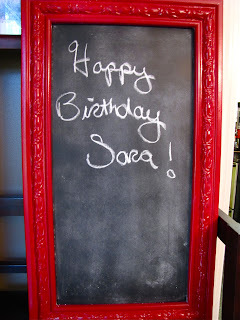 There are a ton of options when it comes to chalkboard paint. I saw several different colors at AC Moore the other day. And here is a tutorial on how to make it yourself. I'm planning to give it a try one of these days. Here's a closeup of the paint I used. 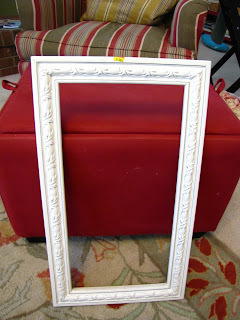 I let it sit for 24 hours to get good and dry and then I used wood glue to attach it to the inside of my frame. You'll have to press the board in place on the glue until it dries. I just turned my frame upside down and put books on top of the board to press it firmly against the glue until it was dry. 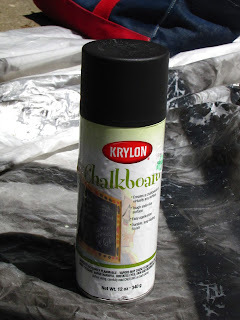 I primed my chalkboard by rubbing it with a piece of chalk lengthwise and then wiping it with a dry cloth. I made a little chalk holder out of a mason jar, adding a label made out of scrapbook paper and some ribbon. 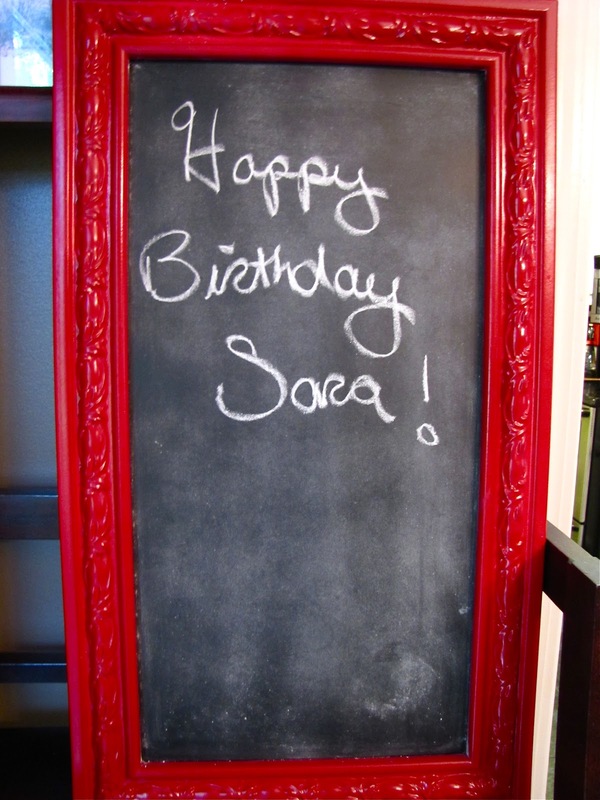 Here it is in it's finished form ready to greet Sara on her birthday!